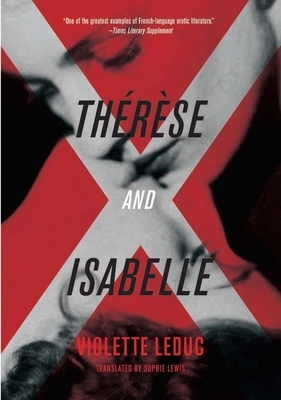 Therese and Isabelle is the tale of two boarding school girls in love. In 1966 when it was originally published in France, the text was censored because of its explicit depiction of young homosexuality. With this publication, the original, unexpurgated text--a stunning literary portrayal of female desire and sexuality--is available to a US audience for the first time. Included is an afterword by Michael Lucey, professor of French and comparative literature at the University of California, Berkeley. Violette Leduc (1907-1972) has been referred to as "France's greatest unknown writer." Admired by Jean Genet, Nathalie Sarraute, and Albert Camus, Leduc was championed by Simone de Beauvoir when she published her scandalous autobiography La Batarde (1964). Like Therese and Isabelle, many of her audacious novels are largely inspired by her life. She is the subject of Martin Provost's biopic, Violette (2013).